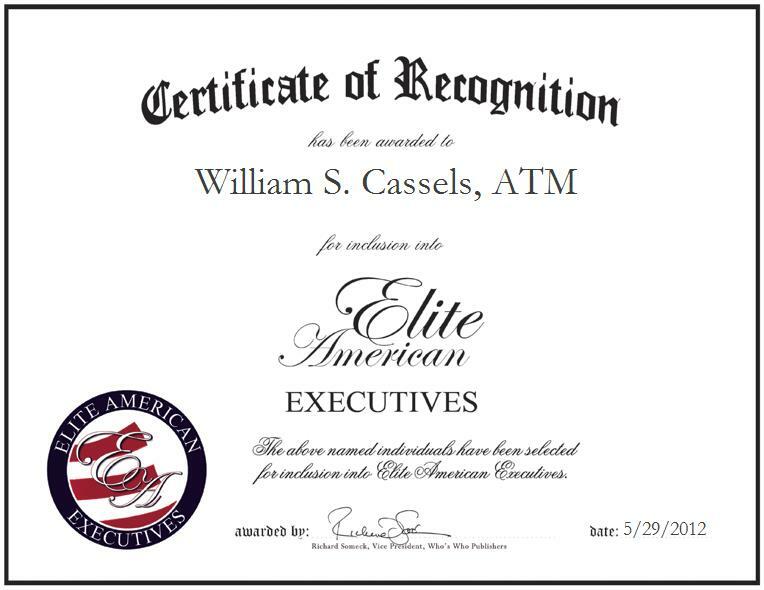 William S. Cassels, ATM is a respected business owner and award-winning motivational speaker with a wealth of knowledge and experience in his field. After being told he would never accomplish anything in both his personal and business life, solely due to his speech impediment, he has proven skeptics wrong by never being unemployed a day in his life. Today, he speaks to audiences that hold as few as 10 members, and pack as many as 500. In 2007, Mr. Cassels was awarded with the prestigious Reach for the Stars Trophy for his exceptional efforts and great attitude, and he feels that he has been able to achieve success due to his commitment to “walking the talk.” Mr. Cassels has spoken three times on “Living Old Age Healthy” at Waterloo University’s Renison College, and he has also covered “Does it Make Sense?” at St. Paul’s Presbyterian Church in Winchester, Ontario. He has also spoken at the Canadian Association of Professional Speakers Convention, the Canadian Businessmen Mission in Canada Banquet, and The Seventh Canadian Conference for People Who Stutter. Mr. Cassels has also attended events and been featured as a stand-up comedian. Mr. Cassels looks forward to celebrating his 80th birthday in the near future.